Welcome! 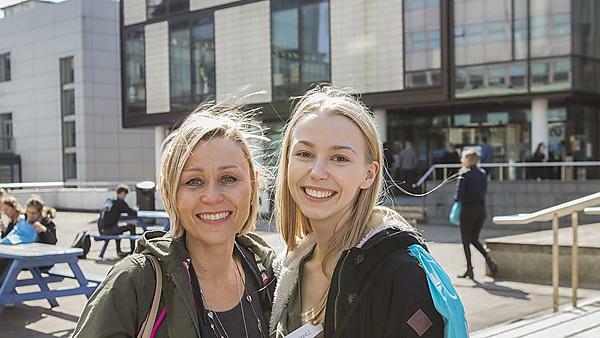 Whether you're a new or returning student, undergraduate or postgraduate, we want to welcome you personally to the University, ensuring you have the best possible experience here at Plymouth. Plymouth students study a variety of courses from fine art to physiotherapy, business to biology, and design to dentistry. Everyone has a key part to play in shaping not only the University and the student experience it offers, but also the future that experience provides each and every Plymouth graduate. The University, our students and UPSU each have commitments that form the Charter. At Plymouth, we believe in delivering the best experience in partnership with you. As one of our students, your views, thoughts and ideas genuinely matter. Our roots go back more than 150 years to the School of Navigation, but our modernity and students give us energy, direction and freedom to define our strategic priorities and values. Our students define the world that we will help build. As you expect the best from the University, we expect the best from you, so we want to ensure you have every opportunity to stretch yourself and explore within a supportive environment. This section of the University website contains information on how you, as a University of Plymouth student, can enhance your student experience through learning, sharing ideas and taking part. Why not start by asking a question or finding a mentor, joining an advisory panel or putting an idea into action? We will do this by meeting specific ambitions, as set out in the Strategy. Studying at the University of Plymouth is a life-changing, transformative experience, and we know that at times of change it’s important to feel supported. Find key information about university for parents or supporters of a current student, to help you understand life at university and how you can help. How do I help to make the University greener? How can I help shape my University's future once I've graduated? How can I volunteer to help the University and other students? If I have an idea, big or small, to make student experience at Plymouth even better, what can I do? As you will no doubt be aware Britain is to leave the European Union. There is no immediate change for the UK university sector and in particular, programmes such as Horizon 2020 and Erasmus+ will continue as normal.